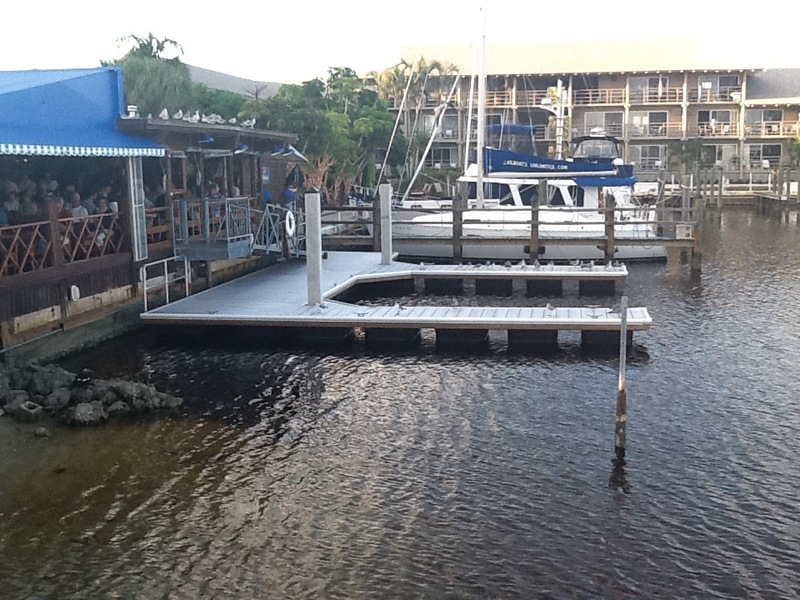 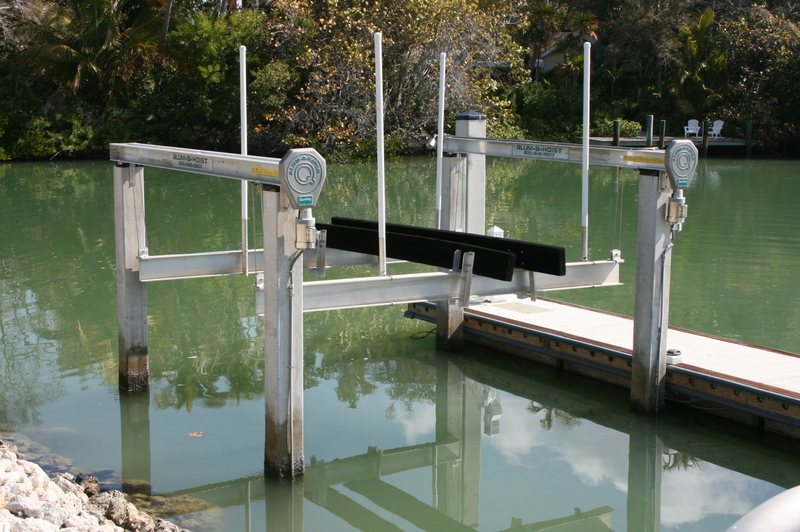 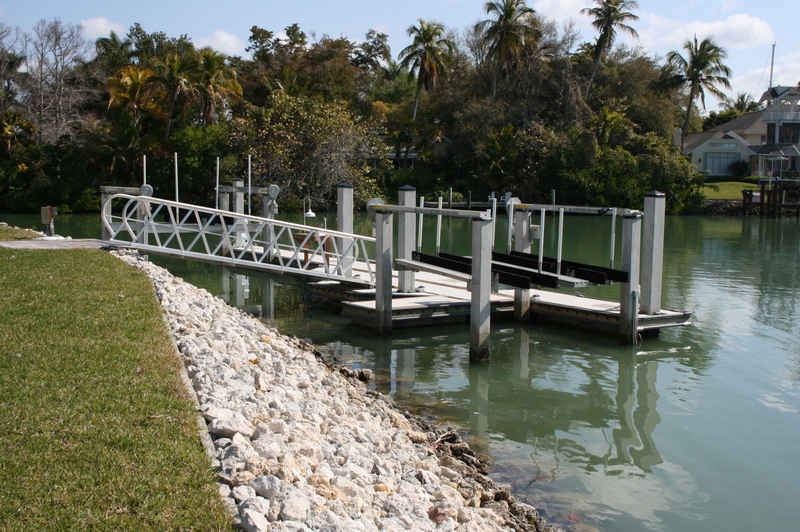 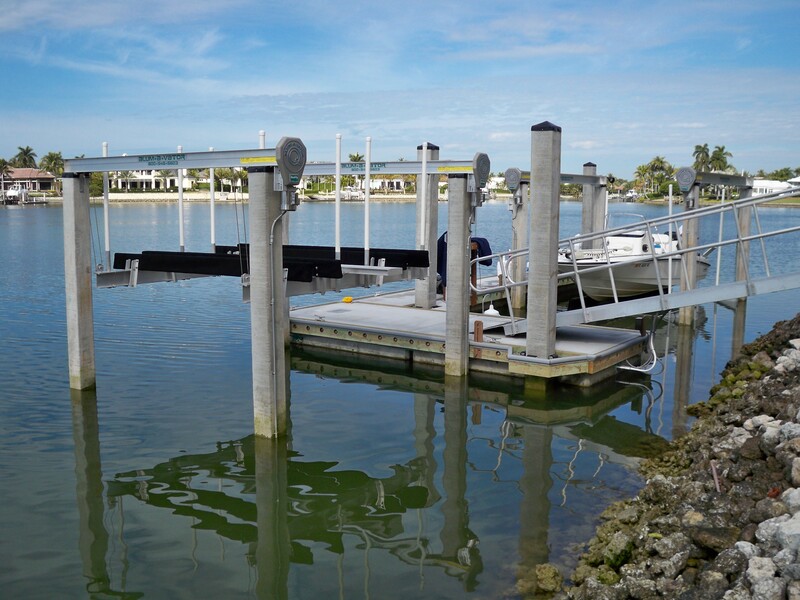 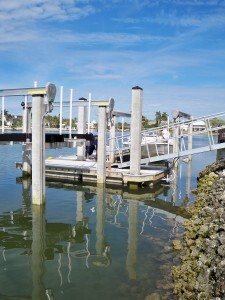 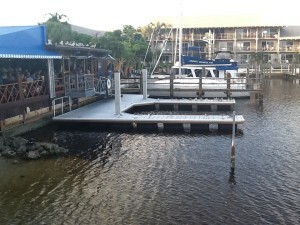 Concrete floating docks have been in the commercial marina industry for over 50 years. 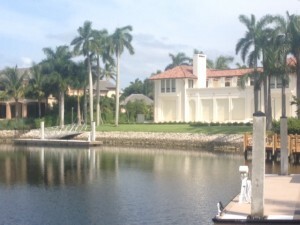 Over the past 10-15 years they become more popular in the residential markets. 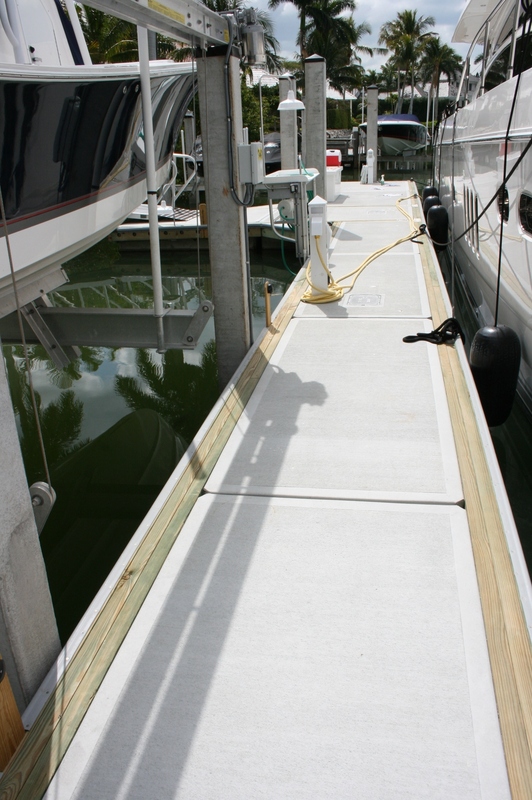 Concrete floating docks are low in maintenance, low in profile, and last 30+ years. 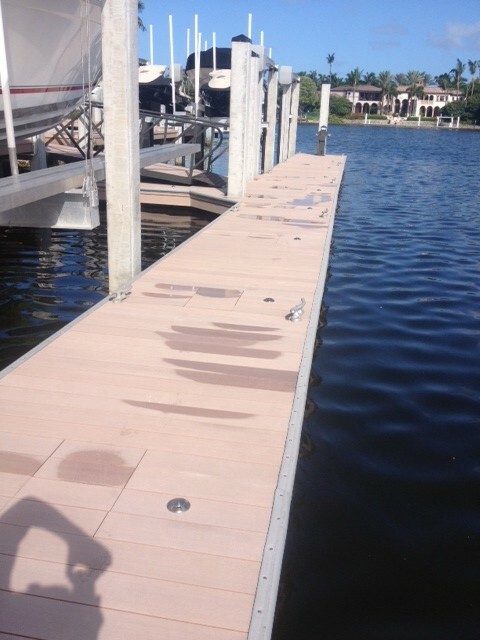 Concrete floating docks are custom fit to order. 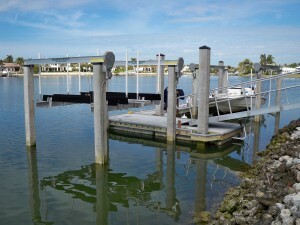 They are constructed of individual foam filled concrete modules connected with a wood whaler system. 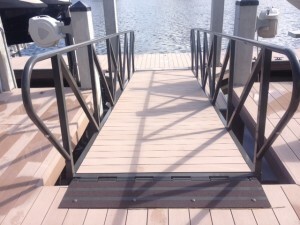 This system allows virtually any size or configuration. Concrete floating docks have many options. 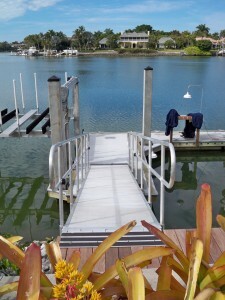 You may choose from a number of stamped textures and colors. 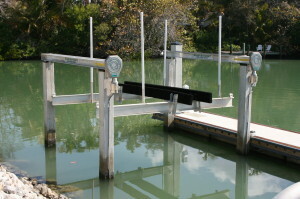 Concrete floating docks raise and lower with the tides. 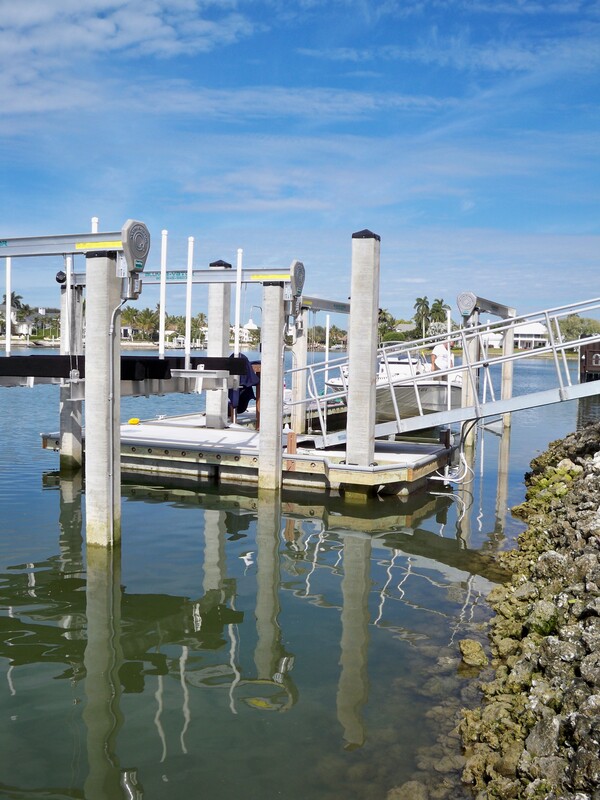 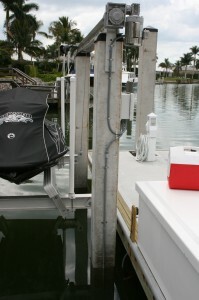 This feature allows large boats to be be moored directly to the dock so that they can rise and fall together with the tides, reducing contact rubbing on the boat. 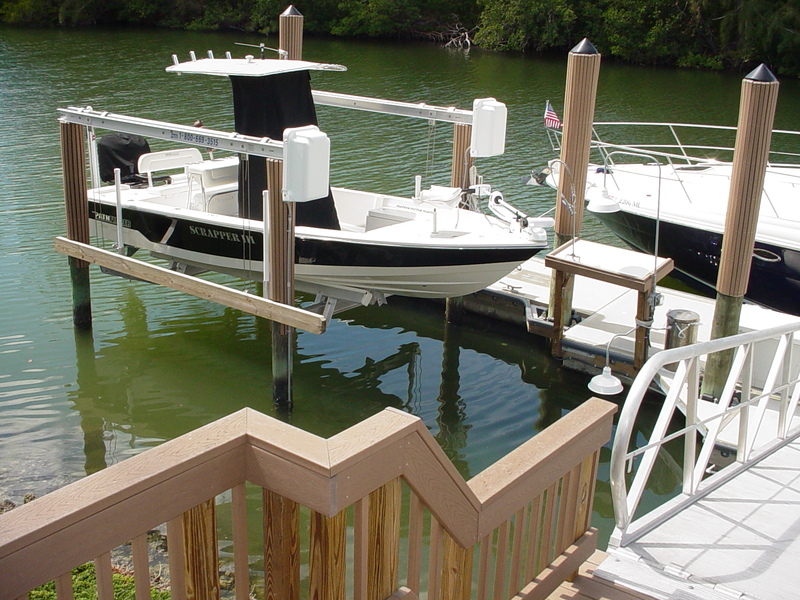 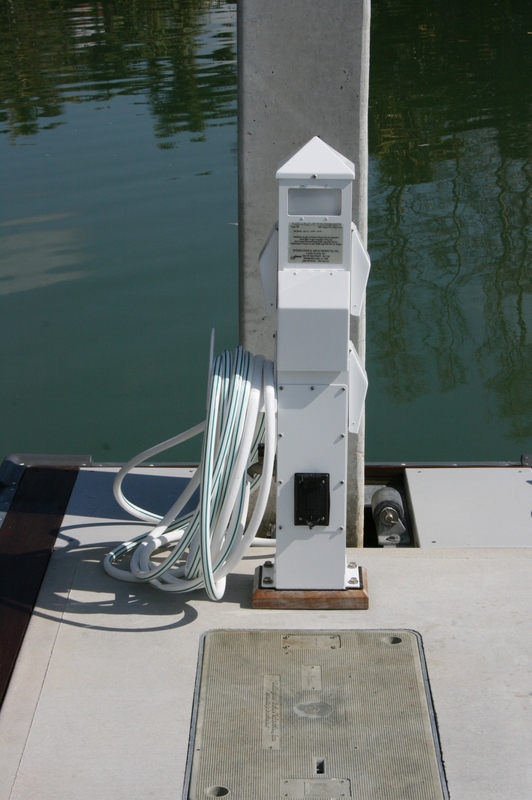 Concrete floating docks can be installed alone or may be incorporated into a stationary dock. 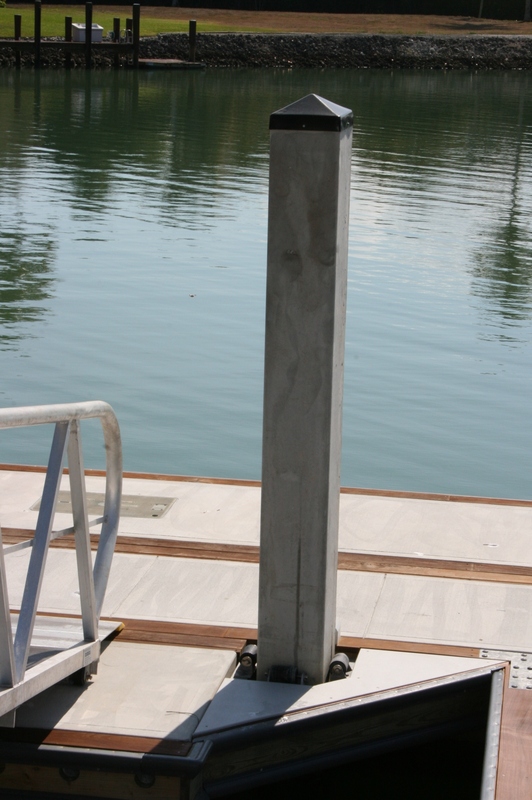 The concrete floating docks are typically anchored with concrete piles; however, wood piles can be used if desired. 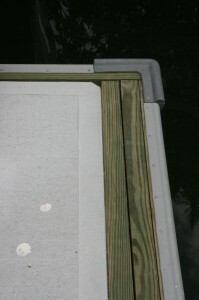 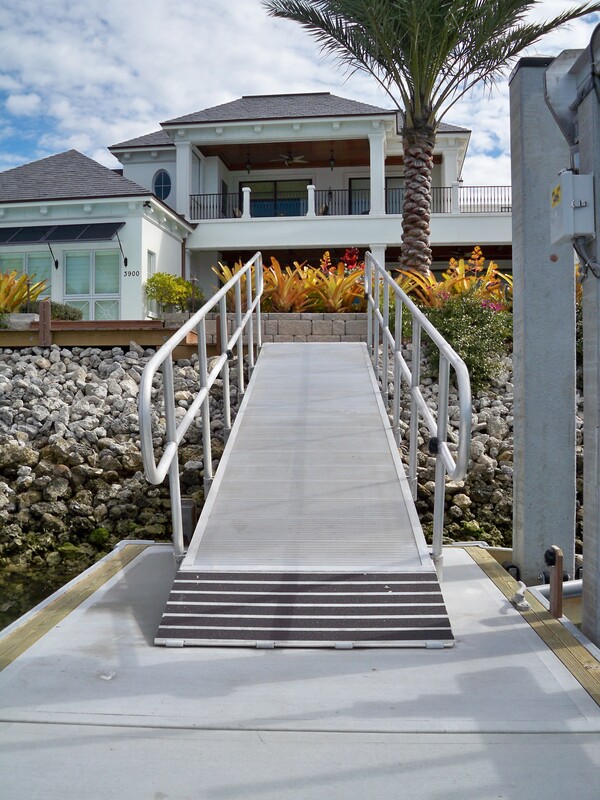 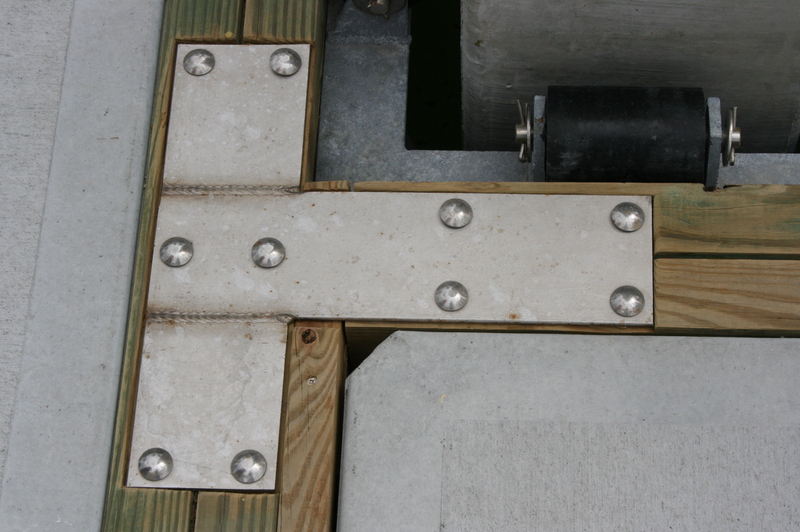 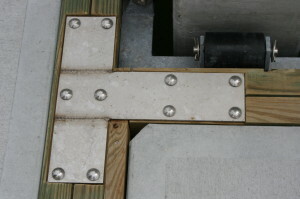 Aluminum ramp/gangways are used to board concrete floating docks.